Moving quickly on because i've got a beautiful polish to show off today! Now I won't lie, this isn't new. It's also been swatched a million times, but in the words of Icona Pop.. I don't care, I love it. I picked this up the other day in Boots as a freebie (thank you 3 for 2!) and it really was an unintentional find. 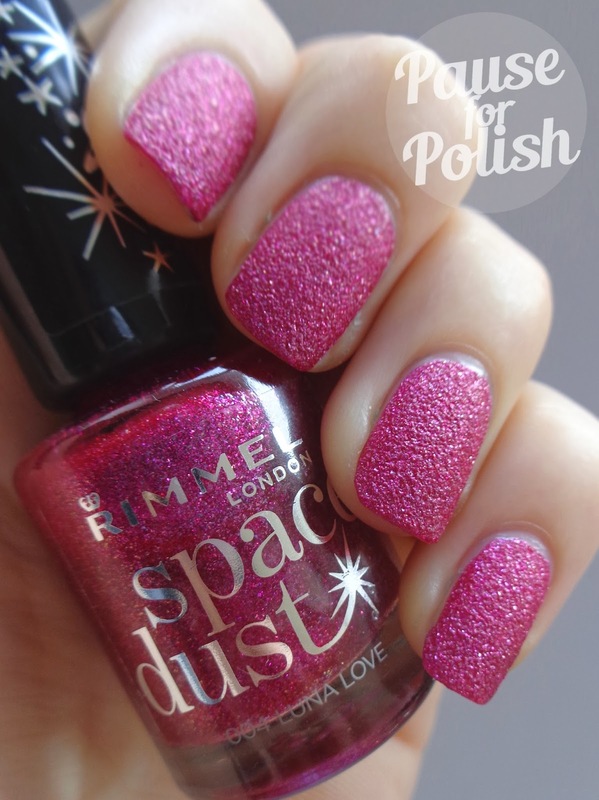 Luna Love is part of Rimmel London's Space Dust collection, and is the only one that I currently own. 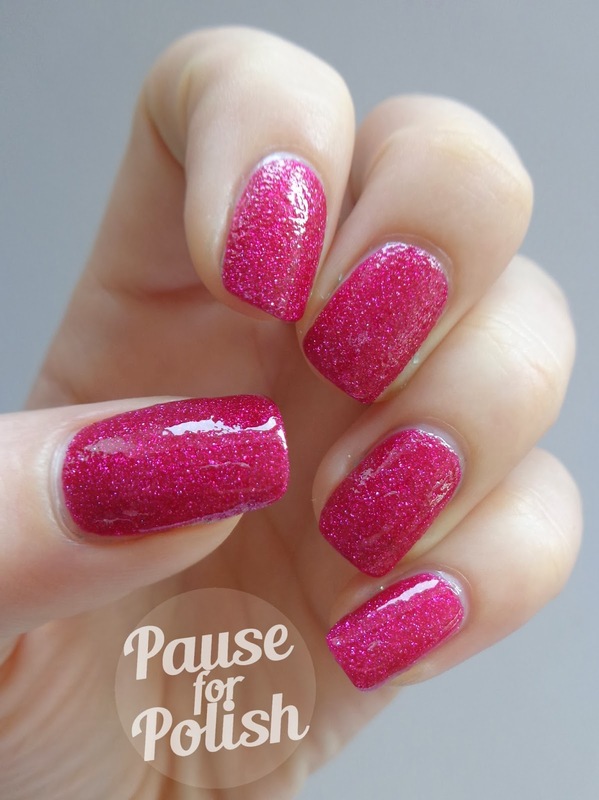 In the bottle it's a gorgeous deep magenta pink, with insanely sparkly pink and subtle blue shimmer. I'd forgotten it dries to a texture finish, which was a nice surprise for me as i'm still loving the texture craze. I've provided photos with and without top coat, let me know which you prefer! And here's a couple with top coat.. It really lightens up the pink and makes it pop! Plus I think it brings out the blue glitter a little more, which you can see in the direct sunlight photo. The topcoat I used is my new trusty Claire's Accessories - Gel Top Coat! 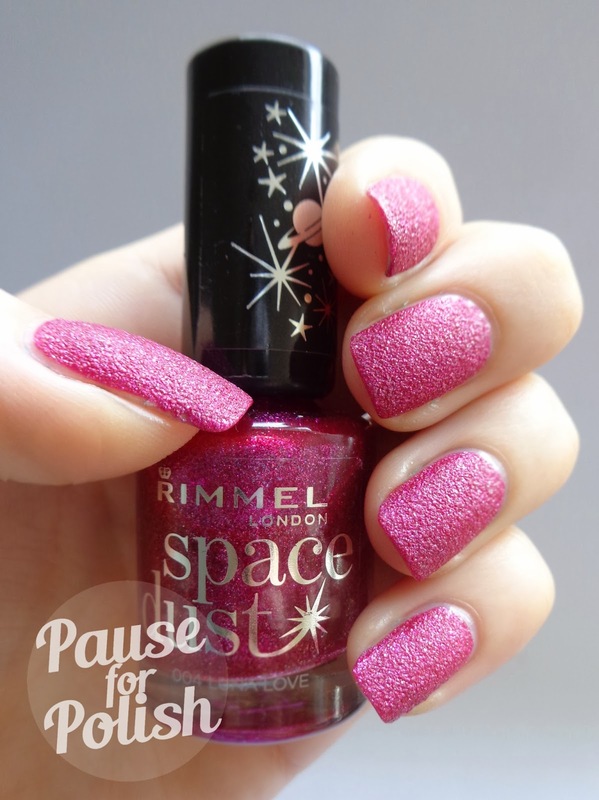 Some nail art posts coming up soon so keep an eye out!